Today is the first day of Autumn, and to celebrate I am baking this Grain Free Pumpkin Spice Coffee Cake! Enjoy this cake after a beautiful afternoon of raking leaves with someone you love! Or, sit outside on a cool sweatshirt morning with a piece of this cake and a warm cup of coffee! It is pure heaven!!! When you hear coffee cake, don’t just think of breakfast. This is a great snack cake. I have drizzled the top while it is still warm with a glaze that soaks in and makes the cake super moist! So grab your Bundt pan! Preheat your oven to 350º degrees. Now, lets get our ingredients out. Directions: Grease a Bundt pan with organic shortening or coconut oil and set it aside. In a large bowl with a hand held mixer, blend the pumpkin, eggs, honey, and coconut oil for two minutes. In a separate bowl, whisk together the almond flour, coconut flour, spices, baking soda and salt. Add the dry ingredients to the wet, and mix with your hand held mixer until thoroughly incorporated. Add the teaspoon of apple cider vinegar and blend again for 30 seconds. Spoon the batter into the Bundt pan and smooth the top. Sprinkle the top with your coarsely chopped pecans. Place in the preheated oven for 40 minutes to bake. The top should spring back slightly when ready. Remove the pan from the oven, and cool on a wire rack for 5 minutes. While it is cooling, prepare the glaze above. After five minutes, turn the Bundt pan over with a wire rack on top of it to catch the cake. When it is out of the pan it will be upside down. Turn the cake right side up by using another wire rack sandwiching the cake between the two, or carefully use your hands to turn the cake right side up with the pecans on top. Drizzle the glaze onto the cake and cool. Happy Autumn! 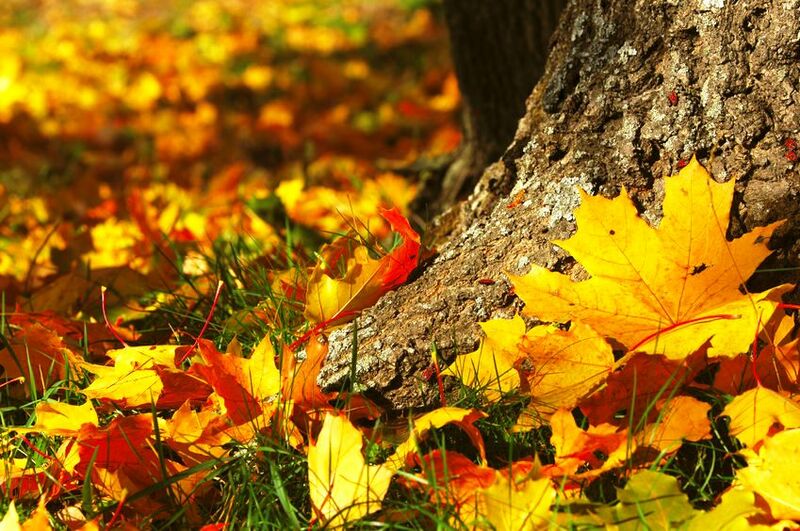 Although it’s still hotter than average for September, there are signs of Fall outside. The pumpkins are ripening for one, and before you know it, it will be time for cozy sweatshirts and jeans, and leaf raking! I know Autumn is just around the corner when the cicadas start screaming day and night. School started today! Waaagh! I have mixed emotions about it. We had such a nice Summer, and it seems like Summer just began. However, I am looking forward to my favorite season and cooler days where I can throw on layers. The cool weather makes me think of different smells in the kitchen like cinnamon, nutmeg and bread baking. Living a healthy life is more than just having everything you put into your mouth be uber healthy. It is also about balance, community, listening to your body, sharing time together over food, relaxation, spirituality, exercise, and fun! These things give us a sense of well being deep in our innermost self. It is one of the reasons I like to blog treat recipes, like this very delicious and toastable bread that is reminiscent of my days as an artisan bread baker for my local food coop. I have made this seasonal recipe in a grain free version! It is important if you have digestive challenges, like me, or want to improve your health in other areas, that you eat plenty of cooked and fresh vegetable produce, some fruit, good quality protein and healthy fats. I typically recommend 2/3rds of the plate consist of vegetables. Then there is a place for a piece of this grain free bread. Just don’t eat the whole loaf! Now, my daughters can eat plenty of this bread, and they absolutely love it toasted! I am happy with one thick slice toasted and savored with a cup of coffee or tea. Pour into the prepared loaf pan. Smooth the top with a rubber spatula, and then place in the preheated oven and bake for 45 to 55 minutes until golden brown on the top and hollow sounding when you tap on the bread. Remove from the oven. Cool for ten minutes in the pan. Then use the overhanging sides of the parchment paper to lift the loaf from the pan. Cool on a wire rack for one hour before slicing. Hello! I hope you are having a peaceful Autumn! What’s new? 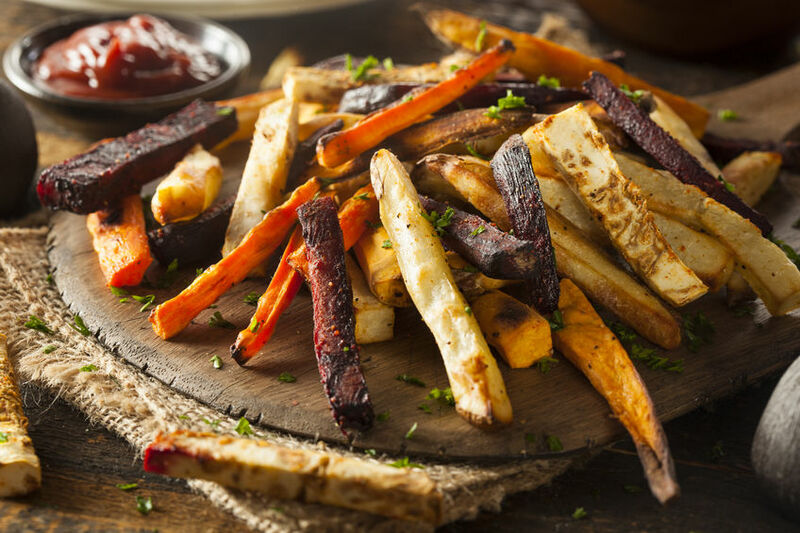 Roots like carrots, sweet potatoes, and turnips, are a rich source of nutritious complex carbohydrates. Instead of upsetting blood sugar levels like refined sweet foods do, they help regulate them. Beets contain an abundance of antioxidants and are highly detoxifying. They contain dietary fiber, magnesium, iron, glycine, carotenoids, lutein, flavonoids and trace minerals. Kohlrabi also referred to as a German Turnip is a good source of Vitamin C, B6, Folate and Thiamine, as well as trace minerals. It is a member of the Brassica family. Parsnips, which look like giant white carrots, boast a sweet, earthy taste. They also contain plenty of fiber, as well as vitamin C, folic acid, niacin, thiamine, magnesium, and potassium. Radish is an excellent source of vitamin C. It’s also contains calcium, molybdenum, folic acid, and is beneficial for digestion. Sweet Potatoes contain unsurpassed levels of beta-carotene and are also rich in vitamin A. They also provide potassium, phytonutrients, protein, and fiber. Optional herbs: rosemary, thyme or sage (fresh or dried to taste)Preheat your oven 375 degrees. Peel, wash and slice all the vegetables into long spears or bite sized cubes. Line a large, rimmed baking sheet with parchment paper, or lightly grease. Place prepared vegetables onto the baking sheet and toss with the olive oil, salt, pepper and herbs of choice.Roast uncovered for 45 to 50 minutes until the vegetables are tender and golden brown. 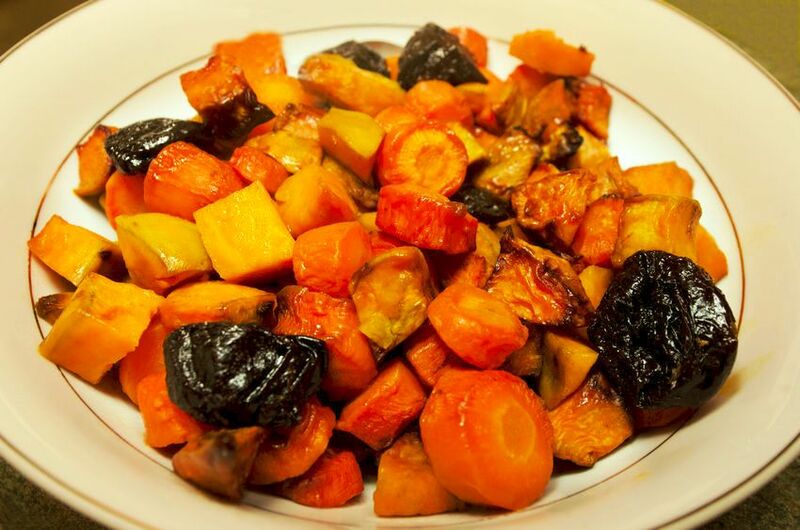 Stir after the first 20 minutes, then continue roasting.Tip: Any combination of vegetable will work. Roasting only one kind of vegetable also makes a nice side dish!